Barmer, the second largest district of the historic state of Rajasthan, makes up a major part of the Thar Desert. While a short trip to the charming desert seems enjoyable to tourists, life is not so fair for the rural population inhabiting the area. 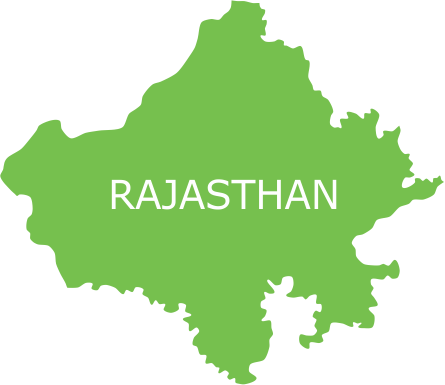 Many regions in the region, Barmer in particular, have some of the lowest health indicators. The miseries of inhabitants are compounded by alarmingly high infant mortality rate of 82.3%; and social stigmas like the purdah system, female foeticide, child marriage and poor social status of women. According to a 2012 survey by UNICEF, about 6 to 6.5 lakh foeticides have taken place in Rajasthan in the past five years. Healthcare problems also arise due to lack of awareness on reproductive health issues in women. Poor access to healthcare services has further aggravated the situation. Concerned with the gravity of the situation in Barmer, Smile Foundation intervened, stressing the need of better healthcare services. Smile Foundation, in collaboration with Cairn India Limited, initiated three ‘Smile on Wheels’ in Baitu and Gudamalani blocks of the district. The motive was to provide primary curative and preventive healthcare services to the inhabitants. Introducing state-of-the-art mobile hospital and spreading awareness in areas that lacked a proper healthcare system was an important part of the programme. Smile has been able to sensitize the women folk of the villages, who earlier were reluctant to even attend the awareness programmes launched in their villages. It now reaches out to a significant number of women, educating them on issues related to their physical and mental well-being. Also, IEC health camps targeting specific community groups like school health programmes; focused group discussions and awareness rallies on specific health issues and diseases like malaria, swine flu, polio awareness; counselling sessions; blood donation camps; and a sensitization campaign for girl child - Padharo Mahari Laado. Smile Foundation’s work in providing provision for healthcare services in Barmer has been lauded by senior government officials, state media and the local population. Well-equipped mobile hospital launched in 2011 that provides preventive and curative medical services to residents of 41 remote villages. Spreading awareness about healthcare issues through various IEC (Information, Education and Communication) campaigns in the villages. Since its inception, when the female beneficiaries were very low, Smile’s programme has come a long way, breaking all social barriers prevalent in the region. The state-level sensitization campaign for girl child - Padharo Mahari Laado was launched with an aim to put an end to female foeticide. Awareness programmes covered a wide range of topics, ranging from specific diseases to important issues like reproductive health in women. Several rallies, counselling programmes and blood donation camps also organised.